Natural ventilation by using different forms of side panels and ridge ventilation/lite has become the international standard for dairymen around the world. Your dairy can be a tie stall barn 10 m wide ,a free stall barn 40 m wide or a calf barn 8 m wide. Sun-North will design a specific system for your eco climate. Through out the world, natural ventilation for hog confinement has become the number one choice. 80% savings in energy costs, noise reduction and a much better working environment for the employees are a few of the reasons for this decision. Sun-North offers the widest range of equipment to suit every situation whether it is a renovation project or a completely new facility. By enlarge natural ventilation would be the preferred option but dual ventilation (combination of natural and power) can also be used to optimize the control of the environment for young stock. Sun-North’s state of the art electronic controls and computer coordination can take out the guess work. Poultry producers have been using natural ventilation (open sided barns) for decades to raise broilers, broiler breeders, turkeys, ducks (all things feathered) and even caged layers. For 25 years, Sun-North has worked with both small and large poultry producers to create the most profitable environment to raise their animals. Sun-North manufactures the Altra-Seal insulated moving sidewall panel for two storey cage layer barns or grower barns and 10 layer insulted curtain folding panels for turkey barns that are 25 m wide and 250 m long. Too compliment this, Sun-North has a variety of ridge or chimney systems to exhaust the air. Sun-North will provide a system of assisted power ventilation and mixer fans all controlled by their electronic controls. Fresh air and abundant natural light are the all marks for raising, training and schooling horses of all breeds and performance types. Sun-North manufactures moving glass sidewall panels to cover openings in stall areas for greater controlled ventilation and maximum light. These panels can be one meter high, one meter long or 30 meters long. Sun-North will build any panel to suit your existing opening or proposed opening. The Sun-North Nova-Lite panel is ideal for the most exclusive riding and schooling arena. Sun-North also manufactures Summit Curtains which are more economical and translucent. 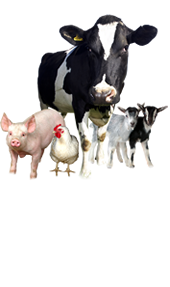 Opportunities have opened up for today’s agricultural entrepreneur in the dairy goat and sheep confinement business. For the past 10 years Sun-North has been providing solutions to create the best naturally ventilated dry, bright and fresh environment for profitable sheep and goat confinement. Sun-North manufactures a wide range of Summit Curtains and sliding glass panels for both the barn holding areas and milking parlours.